Cocopotamus chocolate favors are all about making your corporate events memorable. Of course, as you might already know, Cocopotamus chocolate always puts a smile on the recipient's face. Choosing from an amazing array of all natural chocolate flavors. Minimum order = 50 boxes. The Event Favors: All non-alcohol flavors of our luscious chocolate fudge truffles, from classic to exotic, are available for the choosing. Need Ribbon? Got Ribbon. We regularly stock a variety of satin ribbon to match your corporate functions or corporate colors. 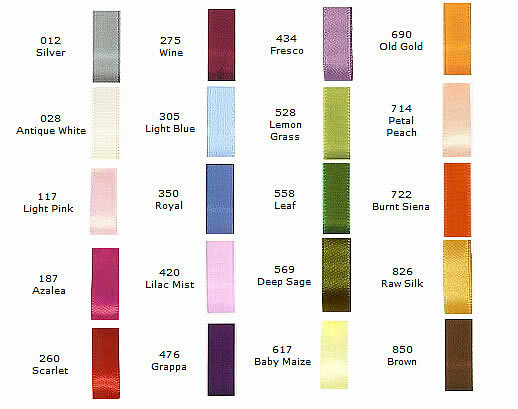 Choose from our array of double-sided satin ribbon for your special order. Ribbon charges are $1.00 per box. Your Customized Event Tag: Ahhhh…here’s how we make your event favors extra special, and your event extra memorable. Add your logo or a message to the specially designed tags. Our standard event tag sizes are 1.3/8" x 1.3/8" square. Call us at 505-750-4388 or email us to discuss your preference. For orders above 200 boxes, tags are free of charge. For under 200 boxes, there's a setup fee of $45 plus $0.15 per box.